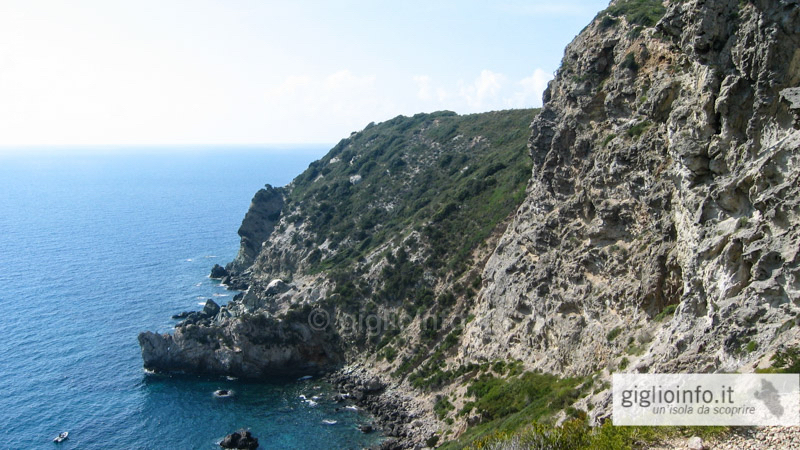 After only a few minutes (200 meters circa) in a shady Leccia grove you arrive "suddenly" on the cliff, which towers over the Allume bay steeply. 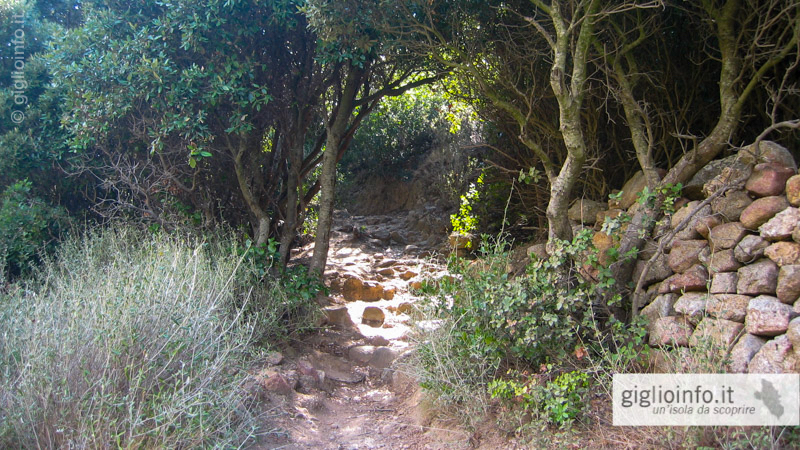 You can enjoy a spectacular view with a wonderful scent of the rosemary plants that overgrow the slopes. 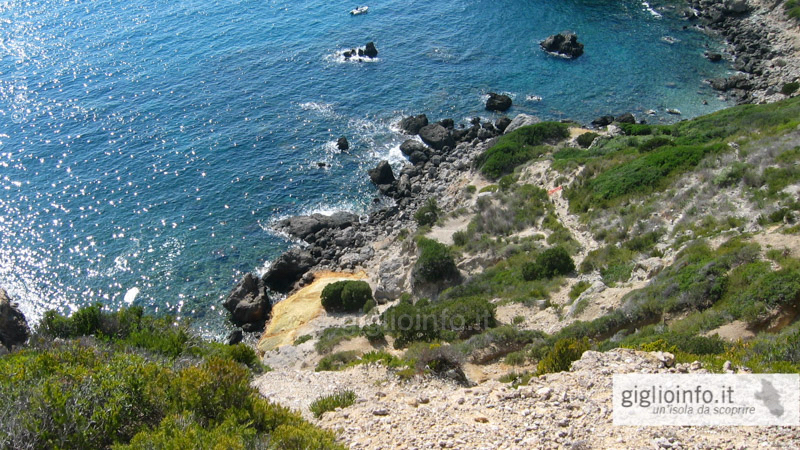 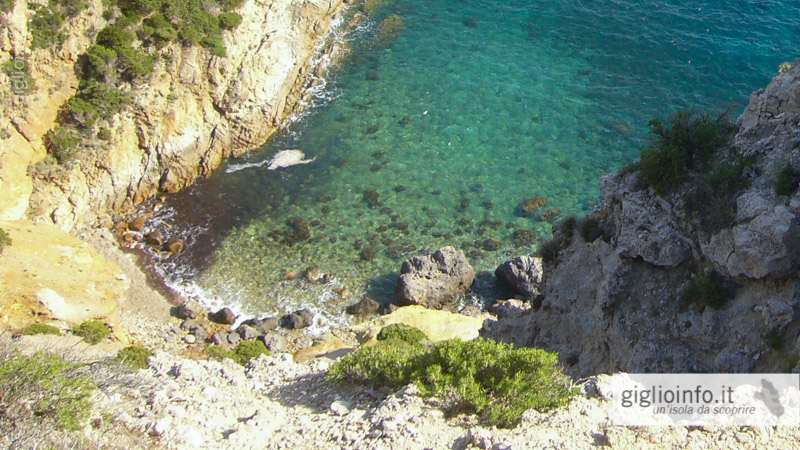 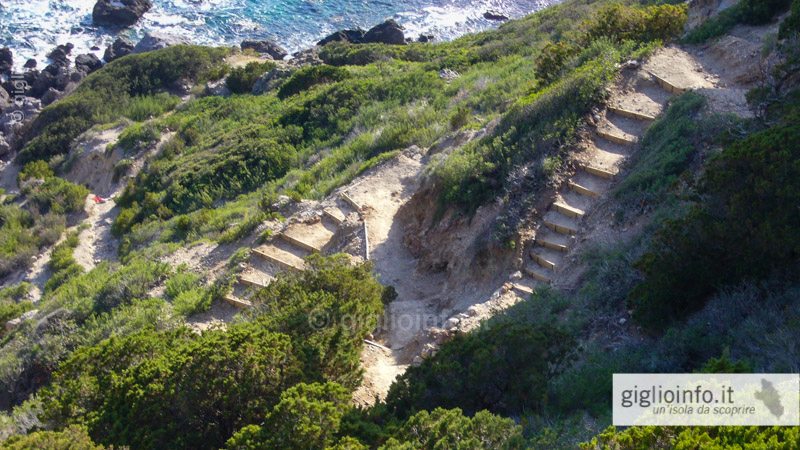 Although the descent (and same ascent) into the bay is very steep and a bit slippery, the path is also suitable for small children. 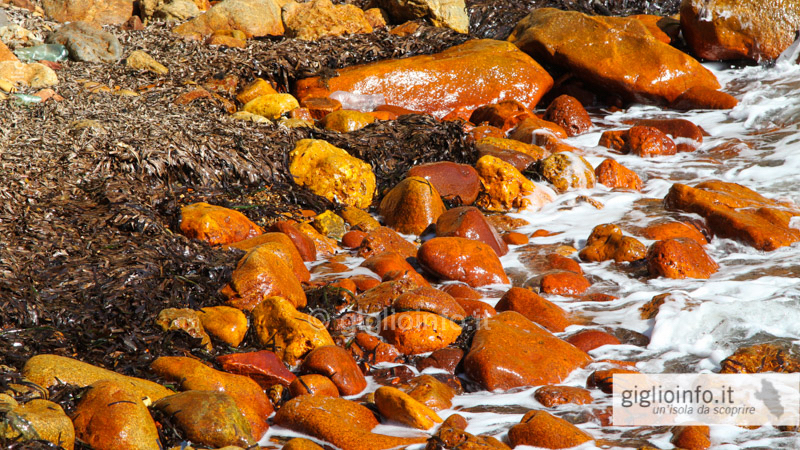 The rocks in the bay and the pebble beach are not very comfortable to spend a day at the seaside, but are enough for a refreshing swim. 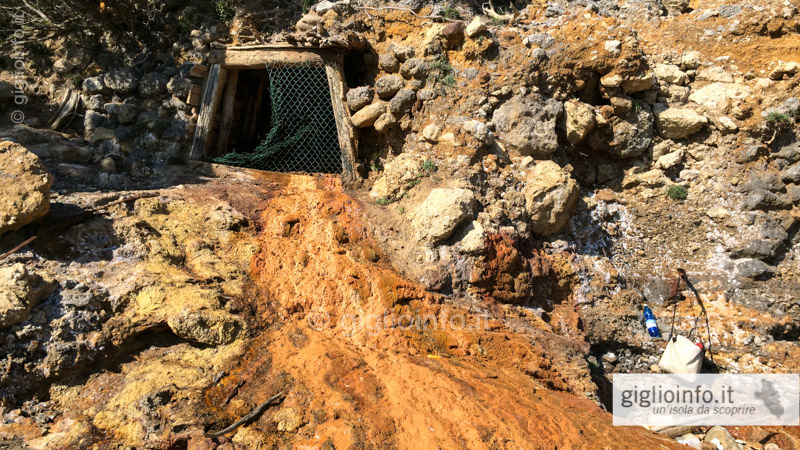 In the bay you can see the entrance of an old mine, whose iron-bearing materials color the stones in the surroundings red-orange. 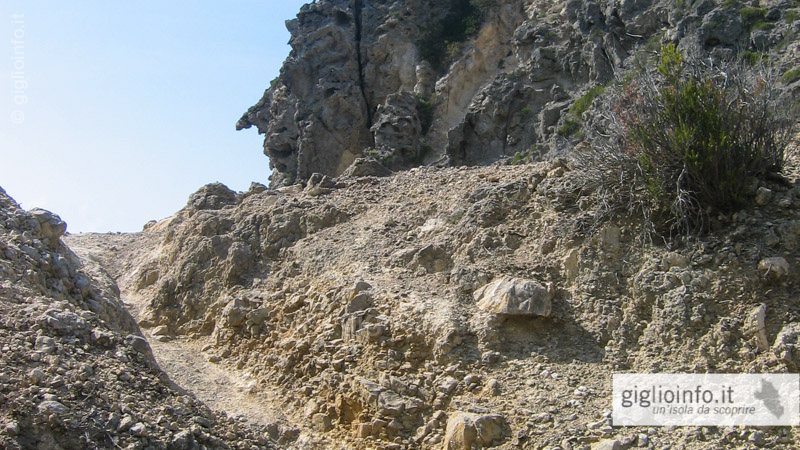 You will also find small pyrite stoneseverywhere. 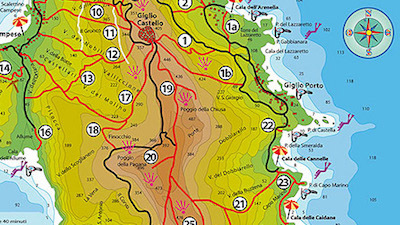 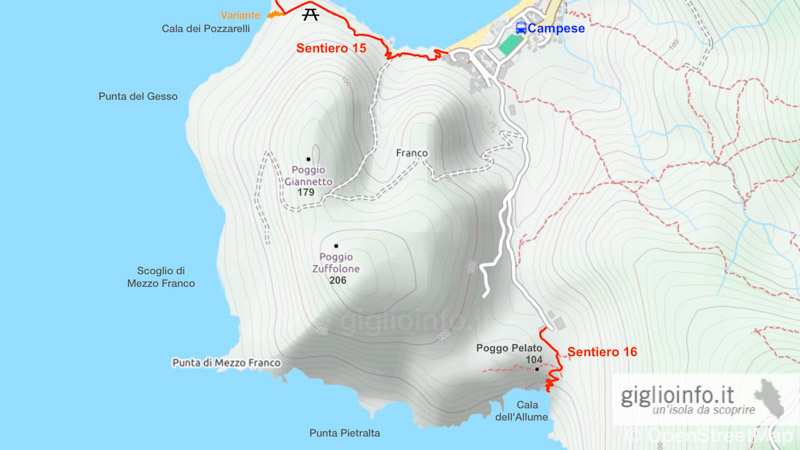 Connected Trails: In the Valle Ortana, the trail n. 13 comes out, which connects two hiking paths from Giglio Castello to Campese (path n. 17 and trail n. 12). 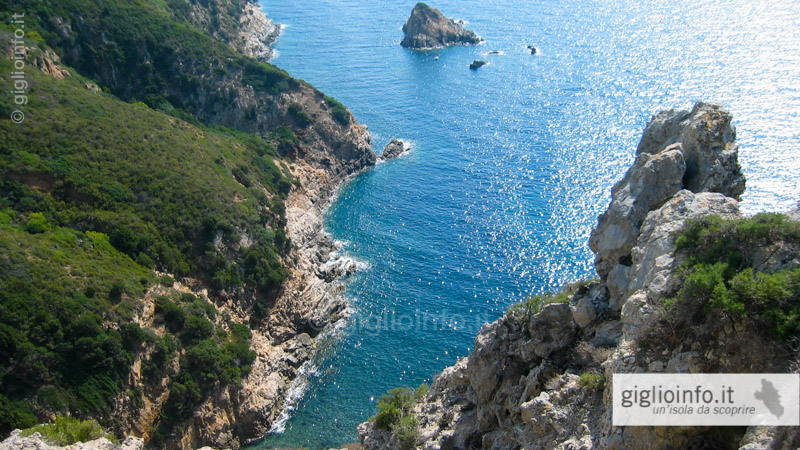 You can also continue on the cliff a little bit for the Franco Promontory.